THE SUDDEN and unexplained deaths of two men in Rugby yesterday afternoon (Sunday February 11) are being investigated by police. Two men in their 20s were pronounced dead at a house in King Edward Road by West Midlands Ambulance Service paramedics, who called police at around 6.40pm. Officers are investigating whether the deaths are linked to an illegal psychoactive substance found at the premises, and await the results of post mortem examinations and toxicology tests. 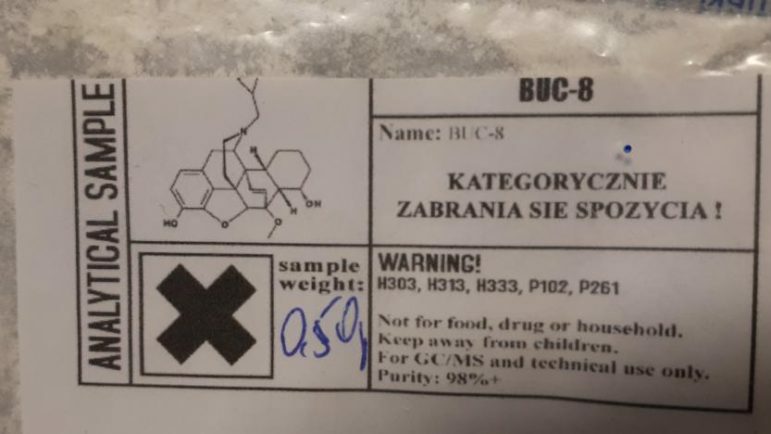 Detective Sergeant Mark Greaves said: “Forensic examinations are still being carried out but we are releasing an image of packaging and officers want to raise awareness of the dangers to anyone who may be using drugs from a similar packet either in Rugby or the wider Warwickshire area. Anyone with any information or knowledge of the packaging, or its origin, is asked to contact police on 101 quoting incident number 302 of February 11.